In the UK, the healthy eating lobby has recently achieved a good deal of traction and few parents remain unaware of the benefits of feeding their child a diet rich in fruits and vegetables. Many schools have put nutrition policies in place and many have banned any kind of unhealthy food from their premises. Mandatory nutrition standards are now in place for meals served in maintained schools and lunch boxes may be monitored for unhealthy content. Children are taught the importance of healthy eating and about the negative consequences of a poor diet for health and weight. As a Research Psychologist, I spent the first fifteen years of my career working in the area of public health. Underpinning my work was the knowledge that consuming five portions of fruit and vegetables a day was associated with better health outcomes and optimal growth in the short and longer term. Yet children in the UK, as in most other developed countries, rarely achieved anything close to this level of consumption. The focus of my PhD and subsequent research was the development of effective interventions to increase children’s fruit and vegetable consumption. Exposure-based interventions in which children were asked to taste a small amount of a vegetable every day for two weeks were highly successful in increasing liking and intake in the majority of children. However a small but significant minority of children wouldn’t go near the vegetables, let alone taste them. The majority of these fussy eaters were not selective enough to be seen in a specialist feeding service, but still presented a challenge to our research and substantial concern to their parents. I was fortunate enough to secure funding to trial a rewards-based intervention that we named ‘Tiny Tastes’. Again, children were asked to repeatedly taste a previously disliked or unfamiliar vegetable for 14 days but in this paradigm they were given sticker rewards for tasting. In population samples of children this worked like a dream – 100% compliance in one of the studies – and we saw statistically significant increases in both liking and intake of vegetables. The development of a stand-alone pack of materials based on this intervention was produced and tested with very positive feedback from a population sample of parents and their young children. Two years ago I started to work with a very different population. The Feeding Disorders Team at Great Ormond Street Hospital specializes in the assessment and treatment of children with avoidant-restrictive food intake disorder (ARFID), rumination disorder and pica. While many of the children seen have co-morbid medical conditions, the service provides interventions that focus on the emotional, behavioral and interactional aspects of feeding rather than on medical or structural problems. The problem with these children was not that they didn’t eat enough fruit and vegetables, but that many of them struggled to eat anything at all. Parents spoke honestly and movingly about the profound impact that having a child with a feeding disorder can have on family life and on the wellbeing of individual family members. This is consistent with research that suggests that having a child with serious feeding or eating difficulties is associated with significant psychological distress. Many important themes and issues emerged from the data but for me, perhaps the most surprising insight concerned the negative impact that over-zealous implementation of nutrition guidelines can have on children with feeding disorders and their parents. The foods that many of these children exist on (potato chips, cookies) are not permitted in many schools and the healthy foods provided by school caterers may not include anything that these children regard as ‘safe’ to eat. Many of the children we see have significant anxiety around food and school lunchtimes may be extremely stressful. Parents spoke of feeling judged negatively for their child’s poor diet and having to struggle to be allowed to send in foods that their child would accept. Often, the result was that the child would go through an entire day with no food at all. Public health messages extolling the benefits of eating plenty of fruits and vegetables and the negative consequences of a poor diet, can increase the anxiety and sense of guilt that parents of children with feeding problems already feel. Children too may be negatively affected, internalizing these messages and worrying about their future health. High anxiety can exacerbate existing feeding and eating problems and hinder therapeutic intervention. For these children, a nutritionally adequate diet may be the best that can be achieved, certainly in the short term. That this may involve a very limited number of foods together with vitamin and mineral supplements should not be regarded as a failure. Parents described themselves as experiencing intense relief when reassured by clinicians that their child consumed a ‘good enough’ diet. For families for whom mealtimes have become a fraught and stressful battleground, this type of reassurance is invaluable and helps to foster realistic and achievable goals for treatment. In my years in public health, it never occurred to me that there could be a downside to promoting diets high in fruit and vegetables and low in sugars and saturated fats…and there isn’t…unless of course you have a child with a feeding disorder! 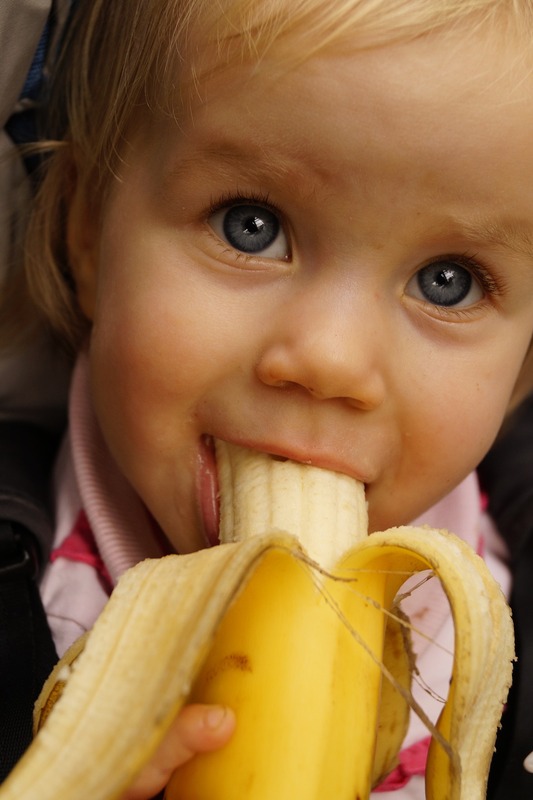 Dr Lucy Cooke is a Chartered Research Psychologist specialising in children’s eating behaviour. She is Honorary Senior Research Associate at both University College London’s Health Behaviour Research Centre and in the Feeding Disorders Team at Great Ormond Street Hospital NHS Foundation Trust. Over the past 15 years she has been designing and testing interventions to improve children’s eating habits and food preferences and has published over 60 peer-reviewed publications in this area. She has recently published her first book, “Stress-free feeding: develop healthy eating habits in your child”, a parents guide to the science of child eating. I really like this post. It is a way to “give a mom a break”. Not in any way, negating the importance of fruits and vegetables as mainstays in a child’s diet, this post points out the need to recognize how very stressful feeding difficulties are in children to both parent and child and how our societal expectations and judgment passing can further exacerbate this disorder. Thanks for sharing.